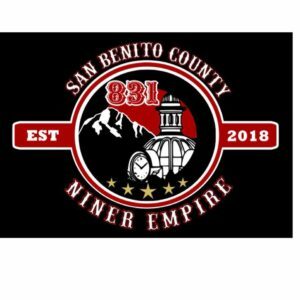 The folks from San Benito County are no strangers to the Niner Empire. Many of the folks assisted the 831 Niner Empire to what they have grown and become. President Oscar Ceja has decided to expand the Empire and assist the Watsonville and 831 taking over way south of the Bay Area. Had a great time this Sunday with Carlos Rico, at the Niner Empire tailgate and game, thanks for the great time. My 1st NFL game and it was memorable!! !